This DVD addresses the challenges many practitioners face in assimilating results from psychotherapy research into their treatment plans. 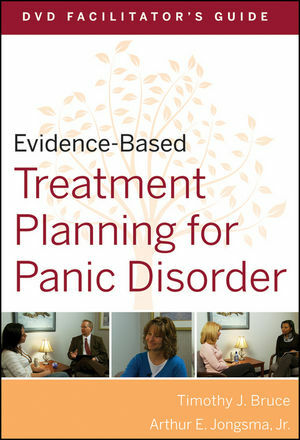 Evidence-Based Treatment Planning for Panic Disorder DVD discusses panic disorder and its diagnosis; the steps involved in psychotherapy treatment planning, empirically supported treatments for panic disorder, and how to integrate objectives and intervention consistent those treatments into a treatment plan. 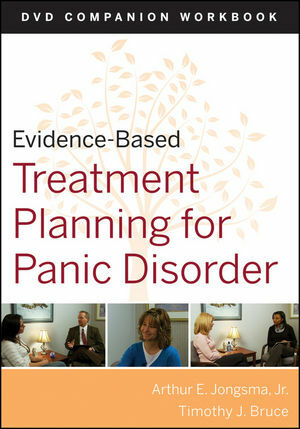 Role-play scenarios illustrate selected aspects of the empirically supported treatments, including cognitive and behavioral coping skills, cognitive restructuring, physical sensation exposure, and situational exposure. A corresponding workbook can be used in conjunction with the DVD as a self-paced or collaborative learning tool. 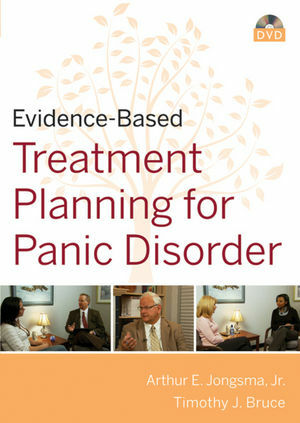 Timothy J. Bruce, Arthur E. Jongsma Jr.
Arthur E. Jongsma, Jr., Ph.D., is Series Editor for the bestselling PracticePlanners®. Since 1971, he has provided professional mental health services to both inpatient and outpatient clients. He was founder and Director of Psychological Consultants, a group practice in Grand Rapids Michigan, for 25 years. 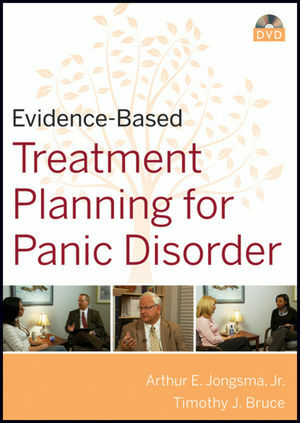 He is the author or coauthor of over 40 books on treatment planning and conducts training workshops for mental health professionals around the world. Timothy J. Bruce, Ph.D., is Professor and Associate Chair of the Department of Psychiatry and Behavioral Medicine at the University of Illinois, College of Medicine in Peoria, Illinois, where he also directs medical student education. He has authored numerous publications including books, professional journal articles, book chapters, professional educational materials, and served as the developmental editor empirically informing Dr. Jongsma's well known PracticePlanners® Series. Dr. Bruce is also Executive Director of the Center for the Implementation of Empirically Informed Mental Health Practices, a state- and federally funded initiative to disseminate empirically informed psychological and pharmacological practices across Illinois. Highly recognized as an educator, Dr. Bruce has received nearly two dozen awards for his teaching of student and professionals during his career.